It’s springtime once again, which means more and more people are likely to drop by shopping complexes thanks to the fairer weather. Naturally, retail stores, restaurants, and shopping complex owners are all excited in the potential uptick in business the new season brings. Of course, the new season also promotes the need for shopping complexes to do a little more than their fair share of spring cleaning in anticipation of bigger crowds. Although a conventional mop can get the job done, it may not be the best way to go about cleaning your complex. In such cases, using industrial floor cleaning machines may be the prudent choice. 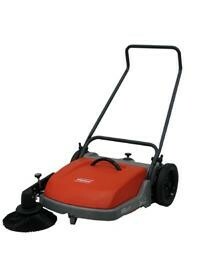 There are many cleaning machines to choose from, including floor sweepers. Fortunately, finding a quality industrial floor sweeper is a simple task, especially if you decide to source yours from a respected vendor like PowerBoss. It’s only natural that customers are drawn to well-maintained facilities. Your new floor sweeper guarantees clean floors that are sure to grab the attention of many customers. What you might not immediately realize is that the time saved on cleaning your floors can be used on other maintenance tasks like landscape maintenance and the like that can help attract even more customers to your complex. Ensuring customer safety should always be a priority for any shopping complex. Efficient cleaning regimens allow you to clear up clutter and debris that may cause slip and fall or trip and fall accidents. This can save you a lot of money in liabilities in the event someone does get injured within in your premises. You might not realize it, but many customers look at the condition of flooring as a sign whether or not a shopping complex is doing well or not. After all, if a complex is doing well, it should have enough money to maintain their flooring, right? Clearing residue, garbage, and other debris from your floors can help you prevent the development of cracks and other signs of wear and tear. Not only can this impress customers, but it also saves you thousands of dollars in repair and replacement bills.